What pain points do you experience in Oracle querying? Read this excerpt from Michael McLaughlin’s Oracle Database 11g & MySQL 5.6 Developer Handbook to learn the answers to your questions. This chapter shows you how to work with column returns from Oracle queries and how to join tables into multiple table result sets. Result sets are like tables because they’re two-dimensional data sets. Read on to learn highlights as to why that’s important, how to alleviate your querying pain points, and other important tricks of the trade. A SELECT statement (query) reads differently from how it acts. In English, a query selects something from a table, or a set of tables, where certain conditions are true or untrue. Translating that English sentence into programming instructions is the beauty and complexity of SQL. Although English seems straightforward, queries work in a different event order. The event order also changes with different types of queries. You can return column values or expressions in the SELECT list. Column values are straightforward, because they’re the values in a column. Expressions aren’t quite that simple. Expressions are the results from calculations. Some calculations involve columns and string literal values, such as concatenated results (strings joined together to make a big string), parsed results (substrings), or the mathematical result of the columns, literal values, and function returns. Mathematical results can be calculated on numeric or date data types and returned as function results from several built-in functions in both databases. This excerpt from Oracle Database 11g & MySQL 5.6 Developer Handbook by Michael McLaughlin is reprinted here with permission from Oracle Press, copyright 2012. Download a PDF of the full chapter. You can also be selective in your SELECT list, which means you can perform if-then-else logic in any column. The selectivity determines the resulting value in the final result set. Result sets are also formally called aggregate results because they’ve been assembled by SELECT statements. You can return three things as an element in the SELECT list: a column value from a table or view, a literal value, and an expression. The column value is easy to understand, because it’s the value from the column—but what is its data type? A column returns the value in its native data type when you call the query from a procedural programming language, such as C, C#, C++, Java, PL/SQL, or SQL/PSM, or as a subquery. Subqueries are queries within queries and are covered in the “Subqueries” section later in this chapter. A column returns a string when you call the query from SQL*Plus or MySQL Monitor, and it is written to a console or a file. Literal values must have a column alias when you want to reuse the value in a procedural program or as a subquery result, and in those cases the values must be a string or number. Expressions are more difficult because they’re the result of processing operations, such as concatenation or calculation, or they return results from built-in or user-defined functions. The next three examples show you how the types of queries work. All examples use queries from a single table to let you focus on the differences between types. Check out our Q&A with Michael McLaughlin, Book explores Oracle, MySQL query methods for more about querying. Figure 11-1 shows how a query returns a result set of column values in the SELECT list. You can see how the elements are labeled and processed and the figure helps you visualize table aliases, column aliases, basic comparison operations, and the basic order of clauses within the SELECT statement. It finds a table in the FROM clause. It optionally assigns a table alias as a runtime placeholder for the table name. It gets the table definition from the data catalog to determine the valid column names (not shown in the figure because it’s a hidden behavior). If a table alias is present (and it is), it optionally maps the alias to the table’s data catalog definition. It filters rows into the result set based on the value of columns in the WHERE clause. The list of columns in the SELECT clause filters the desired columns from the complete set of columns in a row. If an ORDER BY clause occurs in the query, rows are sorted by the designated columns. 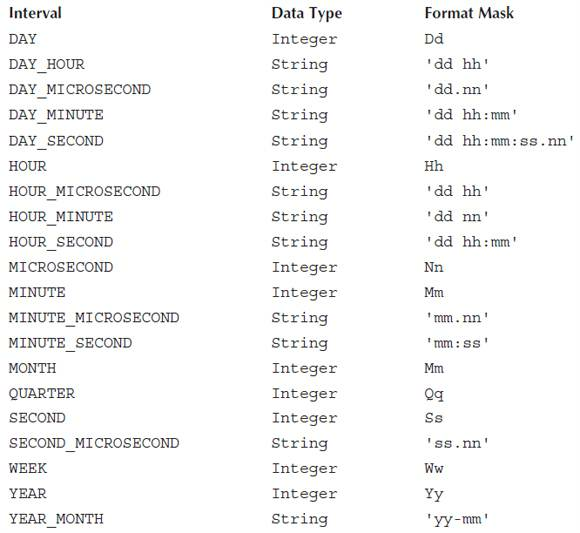 Figure 11-1 also demonstrates table and column aliases. The table alias is generally unnecessary when writing a query against a single table. It is useful and necessary when you want to avoid typing complete table names to disambiguate column names that are the same in two or more tables. Because the FROM clause is read first, all references to the item table are mapped to i in the rest of the query. This means that a reference to item.item_title would not be found. The AS keyword is optional when setting column aliases but ensures clarity that an alias follows it. Consistent use increases typing but decreases support costs. Column aliases shorten the item_title and item_rating column names to title and rating, respectively. Aliases let you use shorter or more descriptive words for columns in a specific use case. Sometimes the shorter words aren’t appropriate as column names because they’re too general, such as title. The AS keyword is optional in both Oracle and MySQL databases, but I recommend that you use it, because the clarity can simplify maintenance of queries. Just note that AS works only with column aliases and would create a statement parsing error if you tried to use it before a table alias. The AS keyword cannot precede a table alias in Oracle; it can precede only a column alias MySQL supports an AS keyword for a table alias. In our example, we can modify the SELECT list to return an expression by concatenating a string literal of “MPAA:” (Motion Picture Association of America) to the item_rating column. The output is left-aligned, which means it’s formatted as a number, because strings are displayed as right-aligned. The FROM clause takes a single table or a comma-separated list of tables when writing queries in ANSI SQL-89 format. The FROM clause takes tables separated by join keywords and their join criterion or criteria in ANSI SQL-92 syntax. The WHERE clause performs two types of comparisons. One is an equality comparison of two values, which can come from columns, literals, or expressions. The other is an inequality comparison, which can check when one value is found in another (such as a substring of a larger string); when one value is greater than, greater than or equal to, less than, or less than or equal to another; when one value isn’t equal to another value; when one value is in a set of values; or when one value is between two other values. You can also state a negative comparison, such as WHERE NOT. The WHERE NOT comparison acts like a not equal to operation. These are handy tools when you’ve presorted the data and know where to cut off the return set. When you forget to sort, the results generally don’t fit what you’re looking for. The data set in the table determines whether the query returns unique or non-unique data—that is, there could be multiple rows with an item_title of “Star Wars: A New Hope,” and they would be returned because they match the criteria in the WHERE clause. You can use the DISTINCT operator to suppress duplicates without altering the logic of the WHERE clause (see Figure 11-2). There is no difference between Oracle and MySQL when using the DISTINCT operator, which sorts the set to return a unique set—one copy of every row. Other than an incremental sort and disposal of duplicate rows, the query in Figure 11-2 performs more or less the same steps as the query shown in Figure 11-1.